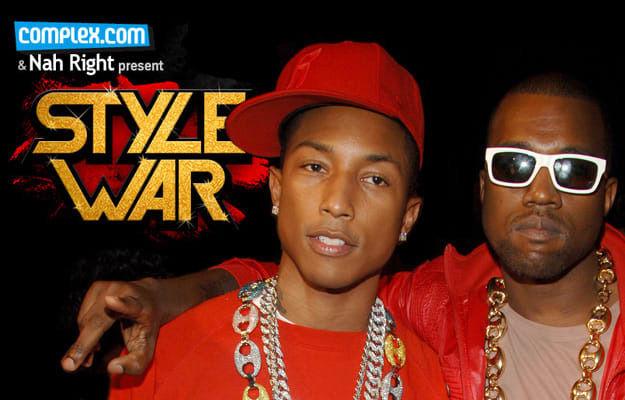 Vote Now in STYLE WAR: Round 4! After our third round of voting, we're one step closer to a STYLE WAR winner! In Round 3, you the voters eliminated Lupe Fiasco, LL Cool J, Andre 3000, T.I., Fabolous, Nas, Run and Nelly, leaving only STYLE WAR&apos;s Elite 8 . Jay-Z vs. The Notorious B.I.G. The winners of these battles will advance to the semi-finals, so cast your votes wisely! CLICK HERE TO START VOTING IN ROUND 4!